There is a moment within Undead Nightmare in which everything you know about protagonist John Marston is turned on its head. The Moment comes less that halfway through the game during a search for the illusive, lumbering sasquatch. 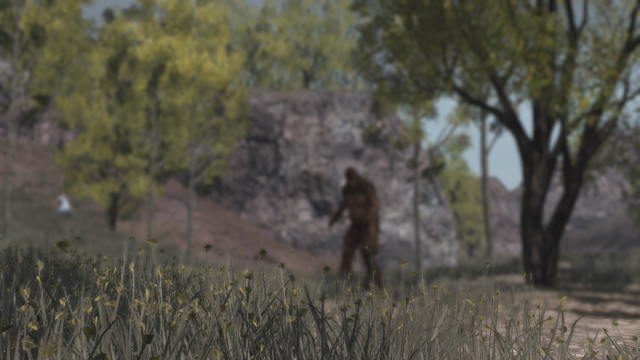 You’ve been on a mission to kill six of them, and after you’ve killed five, you find the last sasquatch sitting under a tree near some rushing white water. The creatures sits there, holding its shaggy heard as if someone has hit it with a cudgel. He’s utterly beside himself, crying and wailing and moaning. Innocently, he weeps. Innocently, he greets you. Then, he begs you to shoot him. He tells you that there weren’t many of his kind left, and someone has been shooting the last of his family. As I realized this is likely a nod to the character Chingachgook’s speech in Cooper’s The Last of the Mohicans, I misted up when I heard its impassioned words to John. All this time, John thinks he has the moral high ground against prejudice and bigotry through the land. It turns out that he’s killed off a whole species. I told a few friends that I hadn’t felt that way since I read The Lovely Bones. It was so touching, thought-provoking and unexpected amid the visceral havoc of killing zombies. The music. The moment. You own it. You better never let it go. ← Best Game Trailer Ever?